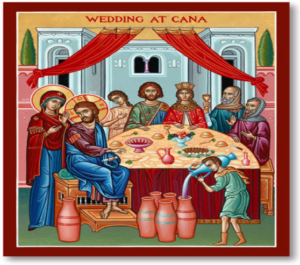 Welcome to the newest resource for newly married couples (first seven years of marriage) from the Greek Orthodox Metropolis of Atlanta. Through this resource, we hope to offer newly married couples a tool to assist them in building their relationship with our Lord and Savior, Jesus Christ, each other and through the Body of Christ other couples married in the Church. This easy-to-use resource will guide the couples to meet monthly, with a mix of spiritually edifying meetings and social gatherings. The leaders’ guide and participants directory will clearly explain the fundamentals of this ministry, and offer simple, clear and practical steps in its execution. The information provided will assist couples in gaining a better understanding of themselves, each other and their relationship to Christ. A happy marriage is a marriage where Christ is in our midst. By placing our Lord and Savior at the center of our lives, no matter the difficulties or circumstances, we will continue to grow toward the goal of marriage: Salvation. Wishing you a blessed journey toward salvation! CLICK TO LAUNCH "OVERVIEW OF MINISTRY"